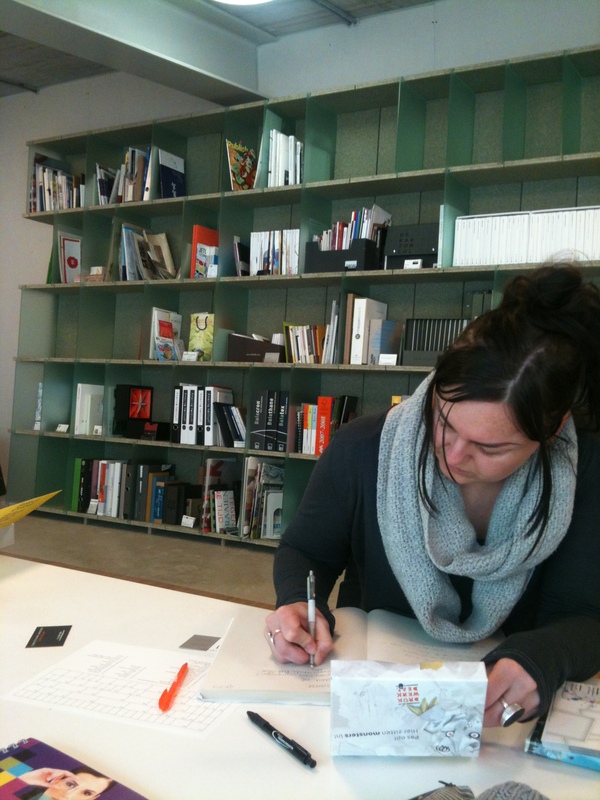 Last week we visited Esther Krop in her ‘Monsterkamer’ in search for paper for our new poster and postcards. We found all sorts of beautifull materials, and we found something very special, white ink for digital printing! More on this soon in our shop….